Multiversity: Grant Morrison’s Long Game | Robert E. Wronski, Jr.
Grant Morrison loves the silver age. He loves the multiverse. He loves the Crisis on Infinite Earths. And for the most part, I’m a pretty big fan of Morrison. For those who think that Multiversity was a New 52 concept, you’ll be surprised to learn that Morrison began working on that project way, way, way back in the days just following 1985’s Crisis on Infinite Earths. It began with Animal Man. Morrison revived the character in the early days of the post-Crisis era, around 1988. Animal Man had been a forgotten hero. I mean, literally, after a very brief silver age career, he joined a team called the Forgotten Heroes. But Morrison saw some potential in a minor, forgotten character. He created a series that explored strange concepts, which is kind of Morrison’s thing. One of his most famous storylines in Animal Man was “Crisis II”, where the pre-Crisis multiverse was briefly revived. This storyline brought us Overman of Earth-Seventeen, who was a Nazi version of Superman, and Dreamworld, home of Sunshine Superman and the Love Syndicate. He also introduced Limbo, a realm where characters go when they aren’t in use anymore, such as the Inferior Five. This story also brought back the Psycho Pirate, who was one of the few who remembered the Crisis, and had Animal Man visiting the real world, which was Earth-Prime in the pre-Crisis era, and meeting Grant Morrison, who helps Animal Man by changing his storyline, bringing his dead family back to life via a retcon. 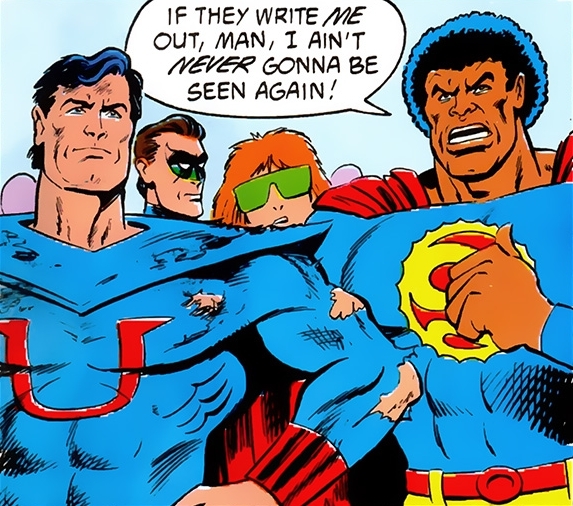 This was the beginning of Multiversity. 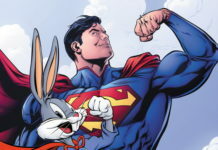 In 1997, Grant Morrison got JLA, and introduced there characters and concepts, particularly involving the fourth world and other godlike beings, that were part of Morrison’s bigger picture. Morrison was also involved in the creation of Hypertime around that time, a concept that again brought back the multiverse, was used by a few writers for a few stories, then was abandoned, forgotten, and later forbidden at DC. 52. 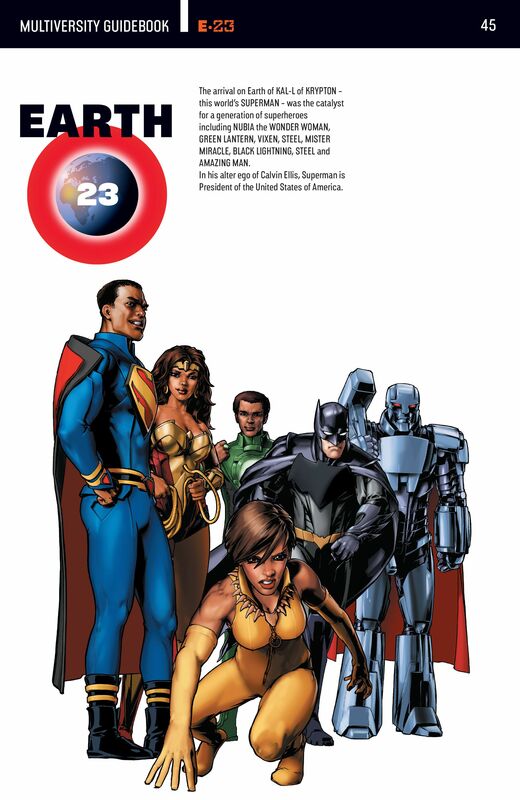 The first time this became a number of significance, following Infinite Crisis, was the 52 mini-series. 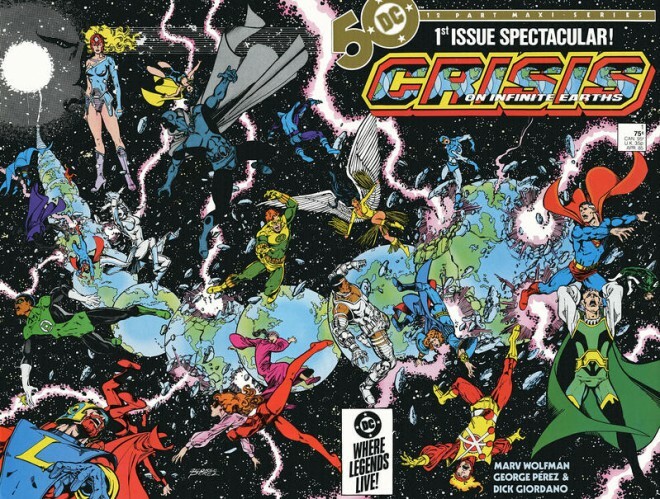 Many writers contributed to this weekly series that showed what happened in the year following Infinite Crisis. Guess what Morrison contributed? He gave us a multiverse. A multiverse of 52 Earths. He gave us Overman, the Nazi Superman of Earth-10. And he tried to give us other worlds, like Earth-4, where Charlton Heroes appeared to act like Watchmen, and Earth-5, a world similar to golden age Fawcett Comics. And he threw in various worlds for different Elseworlds, and Batman Beyond. And the New Gods even got their own Earth. This was Morrison’s vision, but then DC writers kind of tweaked it, and added their own Earths to it that weren’t Morrison approved. Final Crisis. Final Crisis was the alleged final arc for Morrison’s multiverse vision, which brought together characters from all of his Earths, and it’s connection to the Fourth World. 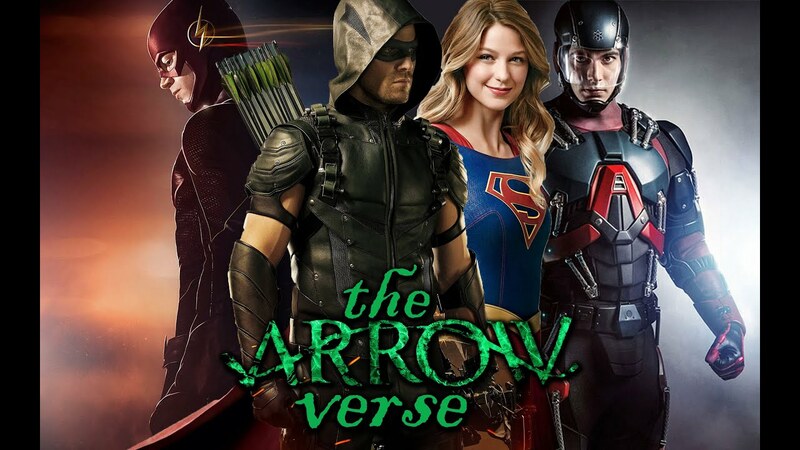 So then the New 52 came along, and it seemed like we just had one universe again, but very shortly after, we found that there was now a New 52 Multiverse. And this time, Dan DiDio gave it completely to Morrison, with no other writers allowed to add to it. Morrison created a map, which is amazing in my opinion, which stated what these Earths were, playfully leaving a few unknown for now. He used his Action Comics title to introduce some of these worlds. 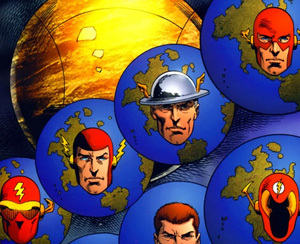 What this multiverse consisted of was what were previously the “old” 52 multiverse worlds that were of his design, and some of those concepts from back in Animal Man’s “Crisis II”, and concepts that came from his JLA run. And the really odd thing. Morrison’s multiverse started in the post-Crisis era (an era with no multiverse), survived Zero Hour to become Hypertime, then survived Infinite Crisis to become the 52, then survived Flashpoint to become the New 52 multiverse, that we fully got to see in Multiversity, a series where some of the characters actually remembered the events of Final Crisis, even though that was no longer in canon in the New 52’s Prime-Earth. 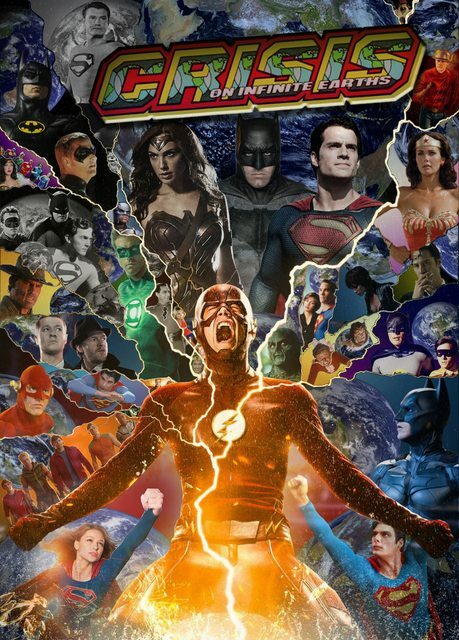 This means, even though the main DCU gets rebooted, not all the other worlds in the DC Multiverse get rebooted. So there are things I don’t like about Morrison’s multiverse. I think 52 is limiting. But Morrison did answer that concern by showing that there are other realities beyond the 52, in other multiverses. He even demonstrated that the pre-Crisis Multiverse also had existed, as a separate multiverse with a larger “multi-multiverse”. I know, bad name. 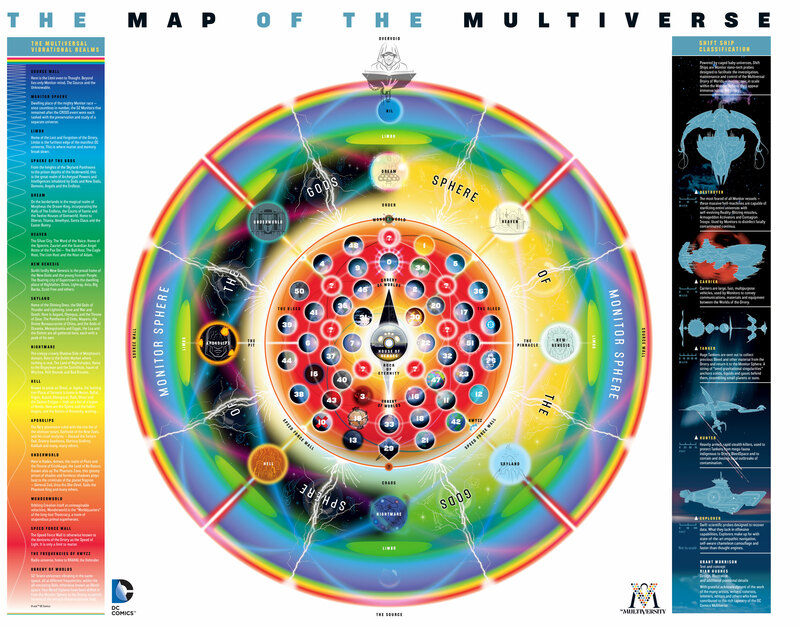 So the DC New 52 Multiverse is part of the DC Multi-Multiverse that contains the New 52 and Infinite Earths multiverse, and that’s part of a larger DC Megaverse, that also contains other DC multiverses like the Arrowverse, for instance, and that’s part of an even larger Omniverse, that includes everything, like the Marvel Multiverse, Michael Moorcock’s Multiverse, Family Guy’s multiverse, etc, etc…. 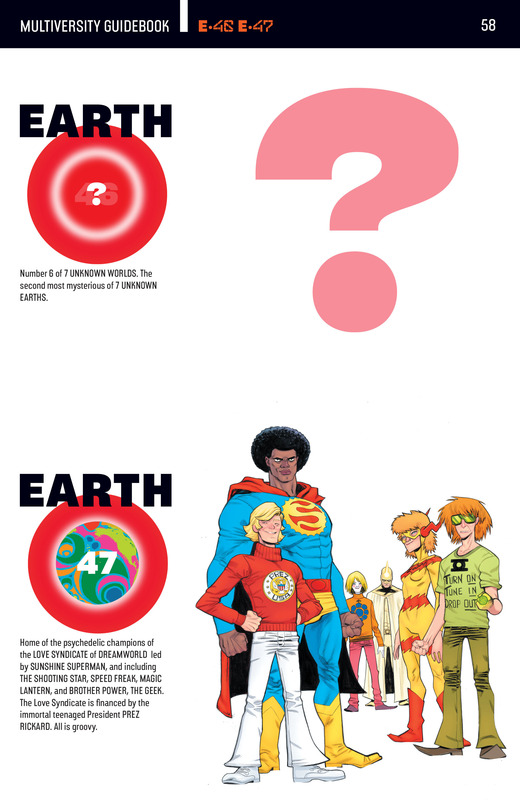 I guess my other complain about Morrison’s multiverse is why a Watchman/Charlton universe. 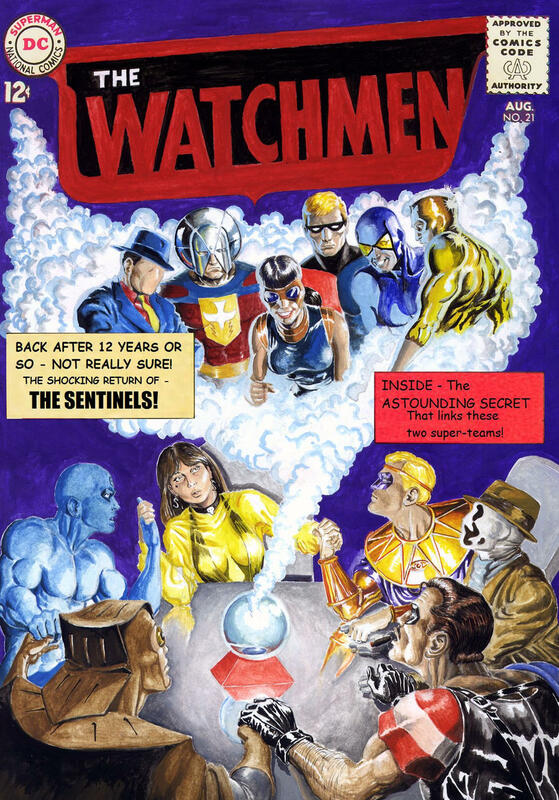 Just give us a Charlton world and a Watchmen world. Why limit to 52? With an infinite multiverse, we can say Scooby-Doo Team-Up, the Arroverse, and Batman’66 are all connected. Seven universes were left blank, and that’s very cool, because it leaves possibilities. 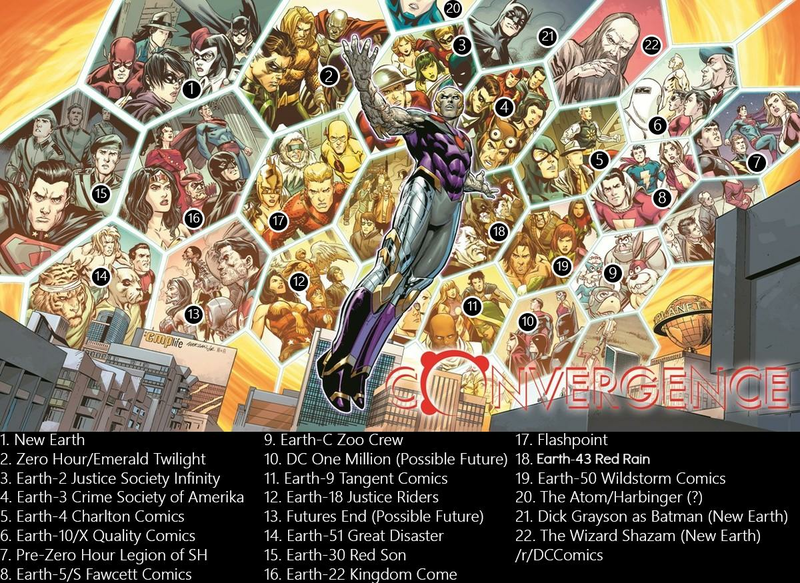 Also, we know that the New 52 Multiverse still connects to other realities outside the New 52 sphere, thanks to crossovers that we’ve seen in the New 52 period. So it may seem limited, but there’s still, in “reality”, infinite worlds and infinite possibilities.